Overlooking the Øresund Straight, which separates Denmark from Sweden, one of the first things you notice upon visiting Amager’s Strandpark—or “Beach Park”—is the vista. Around two dozen large offshore wind turbines—all within Copenhagen waters—dot the coast and provide zero-emission electricity to the municipality, which is aiming for carbon neutrality by 2025. 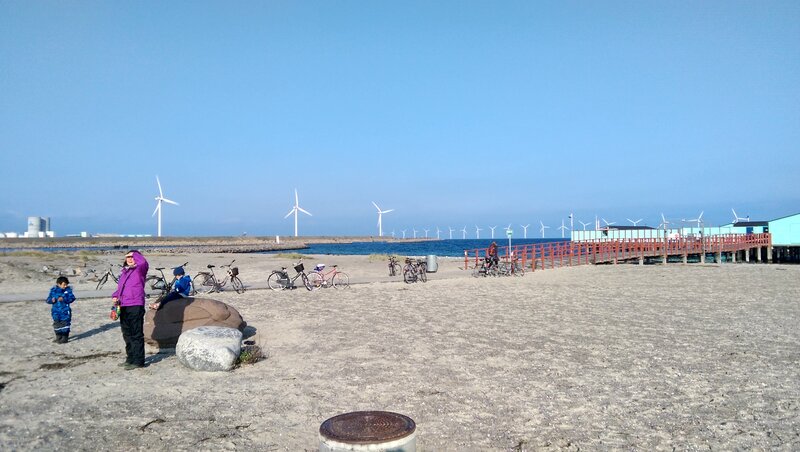 While Copenhagen has plenty of coastline and several offshore wind farms, Amager’s Strandpark is particularly rich with turbines. According to State of Green, there are plans to build up to 100 offshore wind turbines in Copenhagen’s coastal waters. 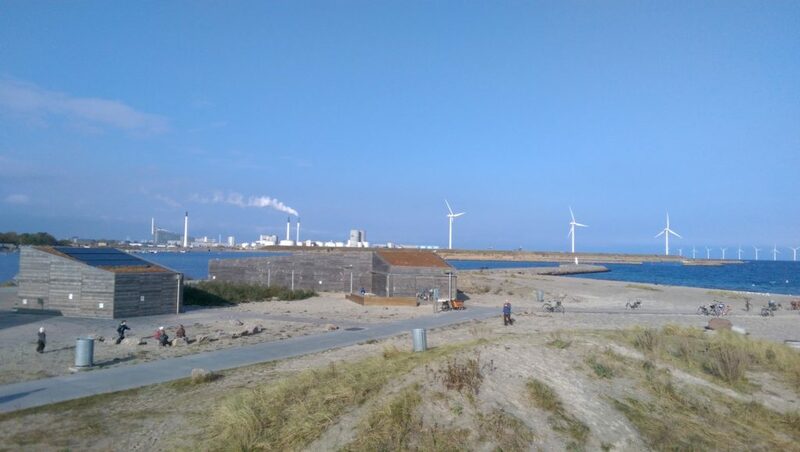 In keeping with the low-carbon electricity theme, faintly visible from Strandpark is star architect Bjarke Ingels’ Amager Bakke waste-to-energy plant. Aiming to “change public perceptions of what a public utility should be“, the plant will combust waste to generate electricity for up to 140,000 homes, all while being open to the public—a rooftop ski hill and 80 metre high climbing wall on the building’s exterior will offer opportunities for people to enjoy leisure activities at the power plant. 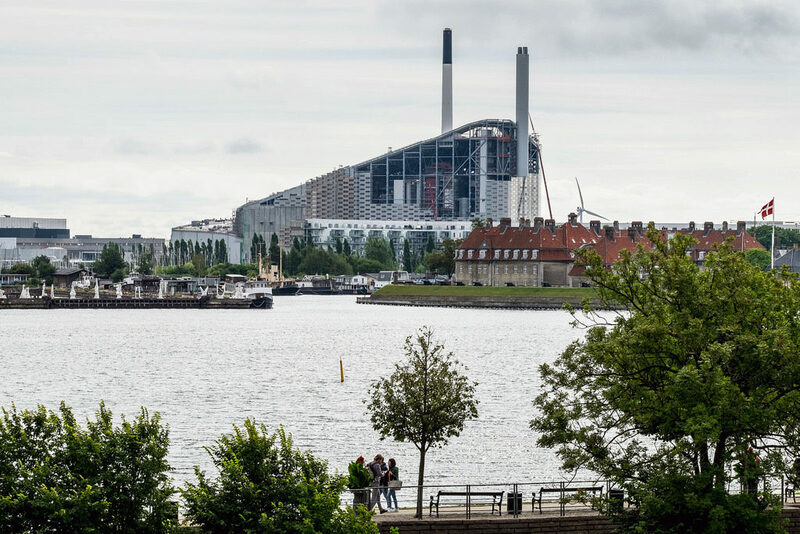 To draw a parallel between energy use and environmental impact, the Amager Bakke waste-to-energy plant will release a large steam ring into the air for every tonne of greenhouse gases emitted. The aim is to demonstrate to Copenhagenites that all energy use comes with an ecological footprint. While there are concerns around utilizing waste as a primary feedstock to generate power for a city’s electricity grid, it should be noted that Copenhagen is in the midst of shunting plastics out of its waste stream—and hence burning—and towards recycling facilities. This action is projected to be one of the municipality’s most important measures towards reducing emissions. Prague Boulevard, a heavy transport route that connects to Copenhagen’s airport and industrial facilities, is a major thoroughfare that runs adjacent to Amager Strandpark that is home to one of the metro region’s first biogas filling stations. Currently, garbage trucks and other heavy-duty vehicles can fill up on carbon neutral gas at the pumps here. 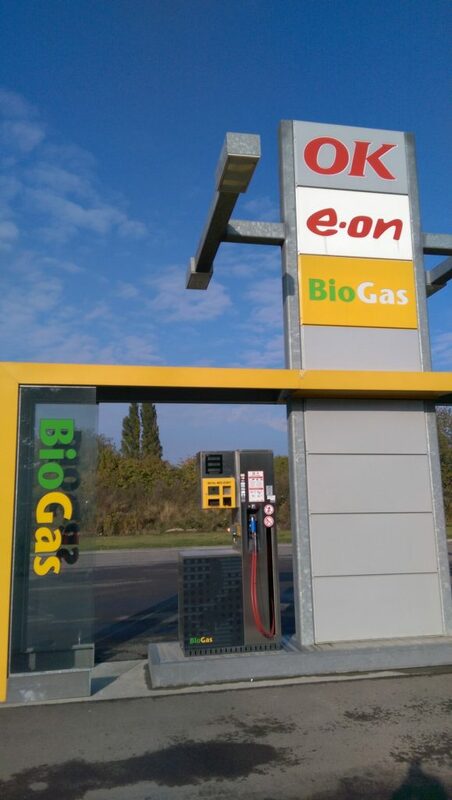 According to my research, the utility E.ON sources the biogas from a large facility on Denmark’s peninsula of Jutland. The facility intakes over half a million tonnes of manure, straw waste, and other residues every year from local farmers to make the biogas. 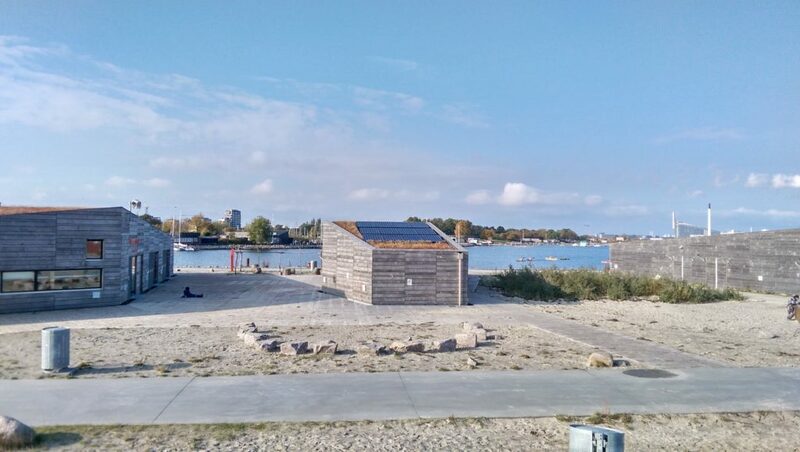 Amid the sandy dunes and windswept beaches of the northern tip of Amager Strandpark, you’ll find access to a sauna moored at the end of a pier and Naturcenter Amager Strand, which is a series of public buildings in an interpretive area of the park. The Naturecenter’s staff provides hands-on environmental education for a wide range of school children, residents, and visitors. 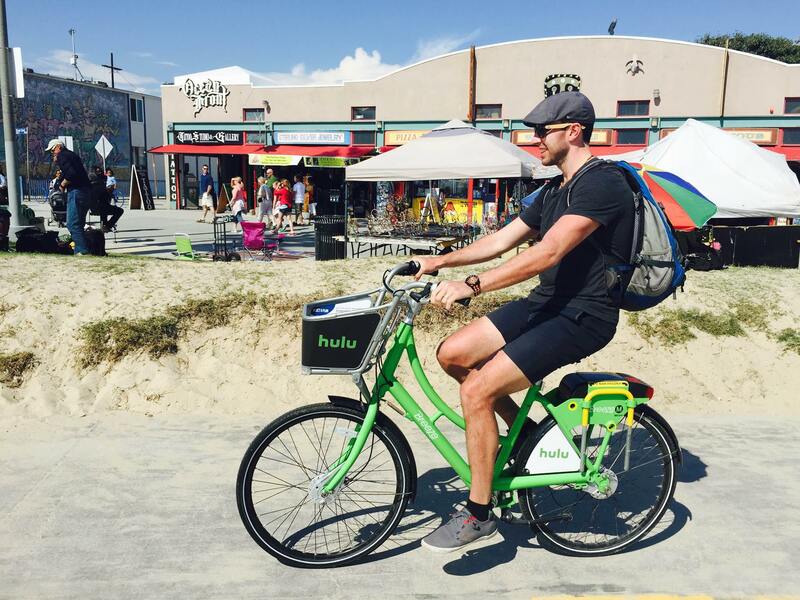 From here, one can rent or borrow kayaks and other equipment to enjoy the nearby shore, waters, and dune ecosystem. The Naturcenter buildings are wood constructed with hardy looking green roofs, complete with photovoltaic solar collectors. You can find these sites on my public Google Map, which is embedded below. They’re all located within a two kilometre radius. It’s fantastic. 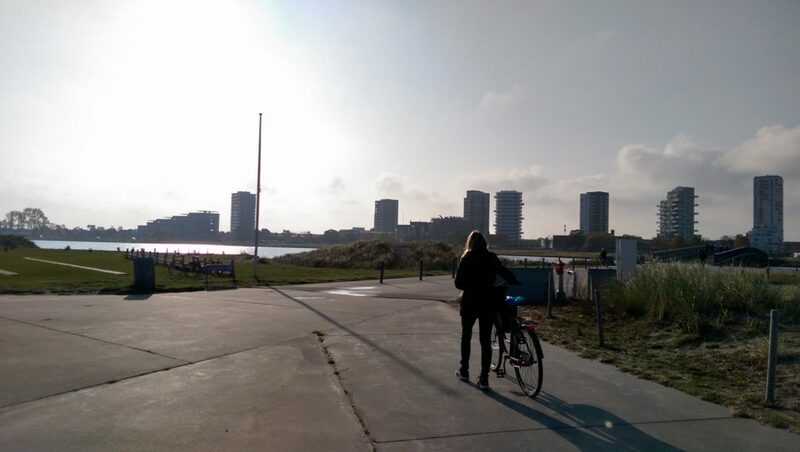 With five kilometres of beaches, sand dunes and hills, sporting areas, walking paths, and bike lanes, Amager Strandpark is an urban getaway and haven for recreation.